The Netherlands has shown off an ambulance drone prototype which could potentially save lives by offering a rapid response after heart attack incidents. 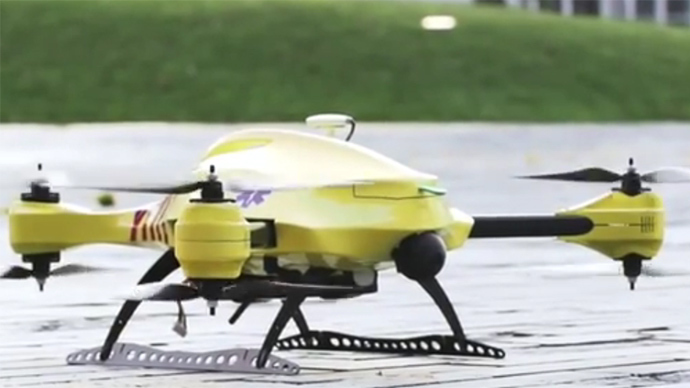 The yellow-painted drone can gain speeds up to 100 km per hour and is equipped with a defibrillator. The unmanned aerial vehicle (UAV) is flown with the aid of six propellers and can carry up to four kilograms, according to the creator of the project, Alec Momont, who revealed the first test model at the Netherlands’ Delft University of Technology. “Our vision is to improve current emergency infrastructure with a network of drones capable of saving lives,” the 23-year-old engineering graduate said. 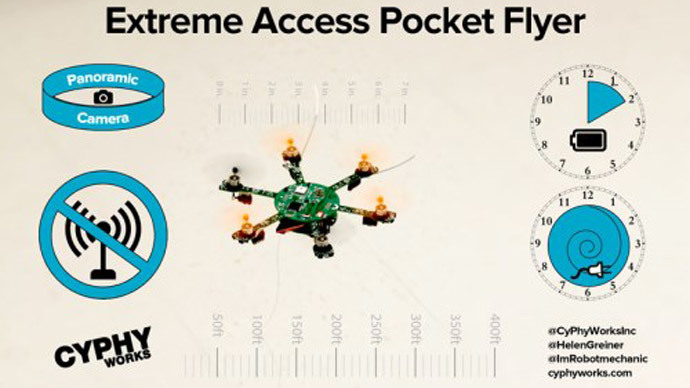 The drone can deliver a defibrillator to a patient within a 12 square kilometer (4.6 square mile) zone in just one minute, increasing the chance of survival from eight percent to 80 percent. “This is because the ambulance drone is not affected by current road infrastructure, but is capable of flying in a straight line, bringing down the average response time of the ambulance from ten minutes to one,” Momont said. The majority of deaths following cardiac arrest are due to slow emergency response time, according to the developer. 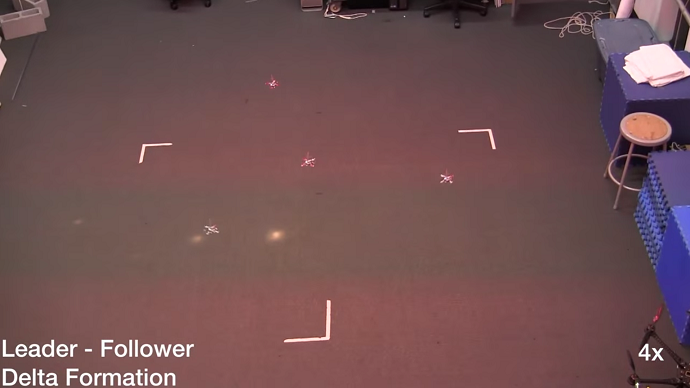 The UAV can receive emergency mobile calls and use the GPS signal to locate the person in distress. An operator can then talk, observe, and instruct the patient via the camera mounted on the drone. The idea has already grabbed the attention of medical services in Amsterdam, the Dutch daily Algemeen Dagblad reported. 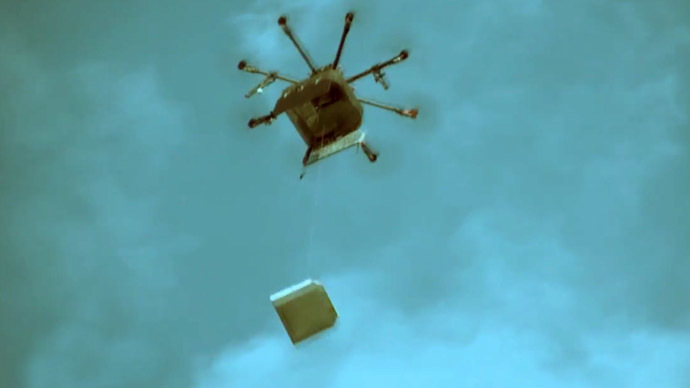 Momont has plans to continue working on the prototype in order to make it “a flying toolbox for your emergency.” It could potentially transport medical supplies like insulin injections or deliver oxygen masks to a person trapped in a fire. The plan is to have a working emergency drone network in the Netherlands in the next five years. 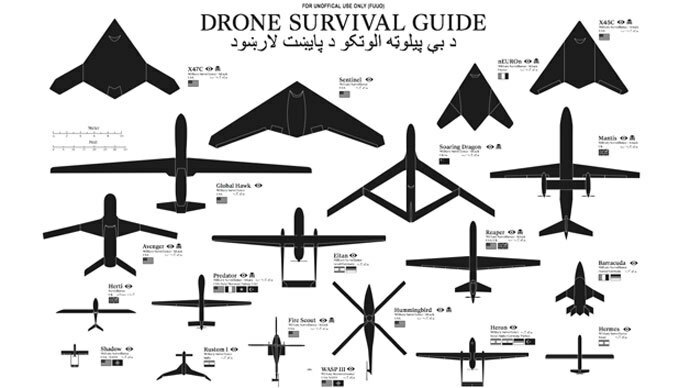 The estimated price for one UAV is 15,000 euros (US$19,000).